Even though both the iOS and OS X developer portals are down for everyone due to a hacker on Thursday morning Apple has released the new OS X 10.9 beta 4 update to developers running OS 10.9. 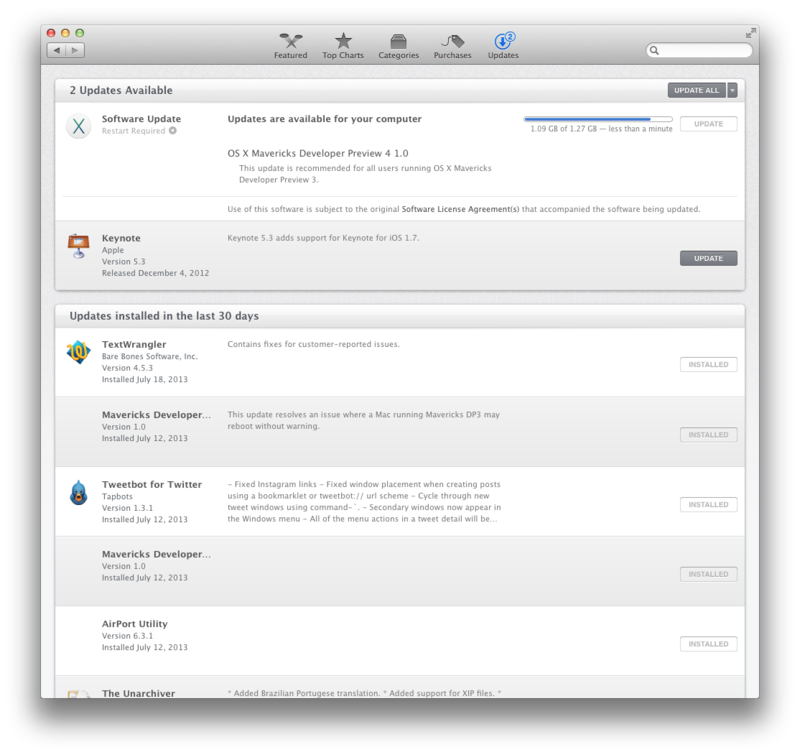 If you are a developer running OS 10.8 and want to upgrade you are out of luck till the developer portal comes back up which could be a while… However if you are running OS X 10.9 just go on the App Store and hit the Updates tab. Apple even though pushed a new Mavericks update today they took a break from iOS 7 beta 4 from it’s 2 week cycle as we did not see an update today due to the fact the developer site is closed. We could see the update either next week or whenever the portal comes back because there are some crucial bugs that need to be fixed.